October 9th, 2015 – East Haddam, CT – Master wood and stone craftsmanship have brought to life the designs of a famous stage actor and producer. 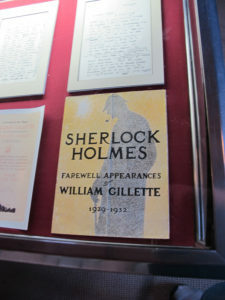 William Gillette, the stage actor who first brought the Sherlock Holmes we know to life, built a home in Connecticut using his wealth to bring his designs to life with the help of a staff of master wood and stone craftsmen. 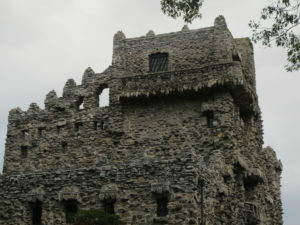 In the “castle” there are 47 doors, the latching mechanisms each a unique work of art different from the others. Similarly light switches, window fittings, pieces of furniture and his bar, all beautiful works of art. 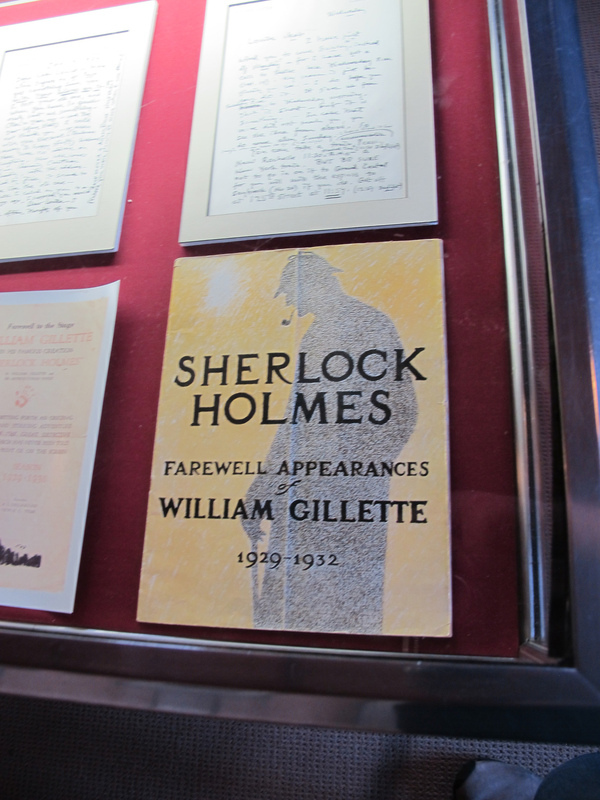 With a very full career, his portrayal of Sherlock Holmes may be one of his more lasting contributions. His portrayal of the character added many of the nuances we associate with the character. He was first to add the deer stalker cap and curved pipe, and he coined the phrase “Oh, this is elementary, my dear fellow” which has since become “Elementary, My Dear Watson”. 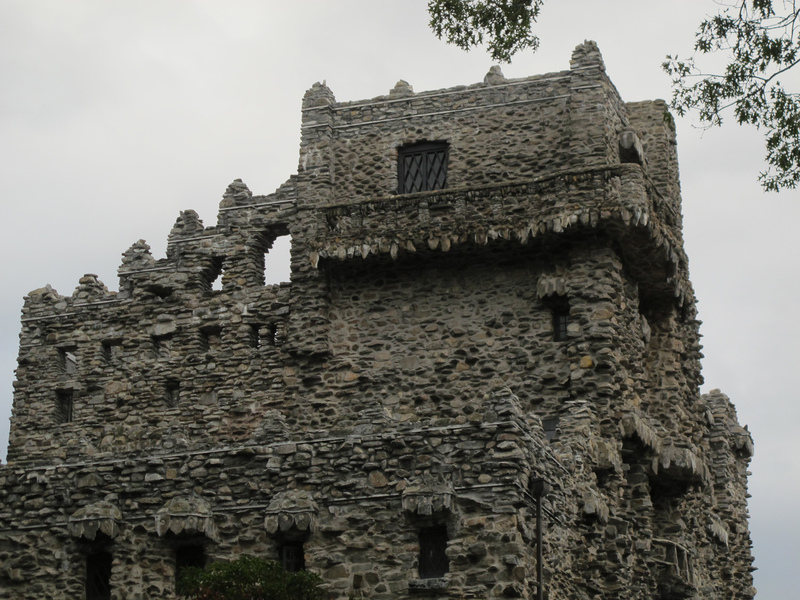 Gillette Castle is built on 184 acres near Hadlyme CT, overlooking the Connecticut River. 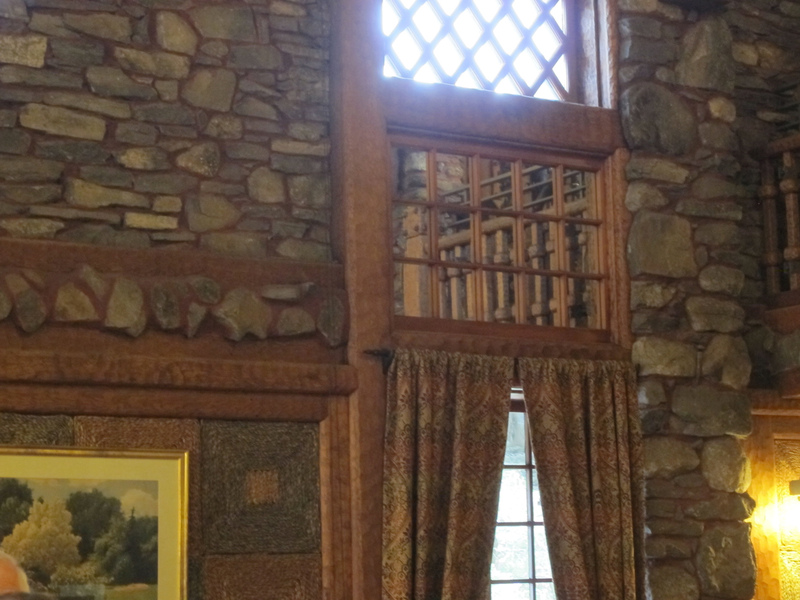 He had several full time master stone masons and wood workers who carried out his own designs. Each of the 47 doors is a unique work of art, having intricate latching mechanisms. Being a theatrical personality he liked to toy with his guests a bit. So he would fill up their glasses from the bar, then excuse himself. He would instruct the guests to keep their glasses full, and simply close the bar up when he left. But he had secretly taken a piece of the locking mechanism which would then be engaged. He would watch in strategically placed mirrors from his second floor balcony and then come back and easily open the bar to everyone’s astonishment. The tour guide pointed out that he had a lot of cats, and they would often gather near the fireplace and jump up on the mantle and such. So several of the decorations displayed there now had been cemented in place so that the cats couldn’t knock them off. 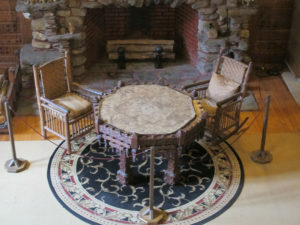 Similarly, the round table in front of the fireplace has carved wooden toys hanging from its edges for the cats to play with. A wood worker could spend hours just looking at the handiwork here, and I’m sure the same could be said for a stone worker. But it doesn’t take an expert to enjoy the variety and richness. Tracks used to run all around the grounds, this short section has been restored. Amazing gateways and walls all around the grounds. 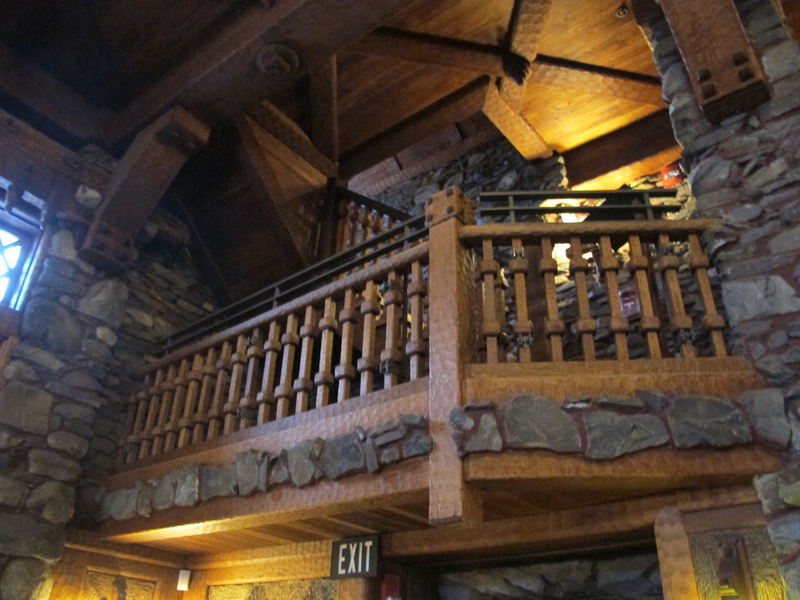 Upper floors, the building actually has a metal frame, the rock is ornamental. Most of the wood was neatly textured. Light switches in the form of stage lighting controls. Elaborate bar had a secret peg lock which he would use to play a practical joke on his guests. Note the stone worked into the wood. The missing piece of the door is nearby should it be needed. This round table has dangling toys for his cats to play with. He liked to read in bed, but not to get up to turn off the light.